Billy Kaplan is the President and Clinical Director at House Calls Counseling, Chicago-land’s premier provider of attachment focused psychotherapy. He specializes in working with foster and adoptive families on attachment-related issues. He has over three years of advanced training in Dyadic Developmental Psychotherapy. Christine Moers is the author of the blog “Welcome to my Brain.” She and her husband, Michael, have grown their family of seven through birth and adoption. They are therapeutic parents, creating a healing environment at home for their children who have experienced early childhood trauma. Christine now coaches other caregivers as they do the same in their own homes. 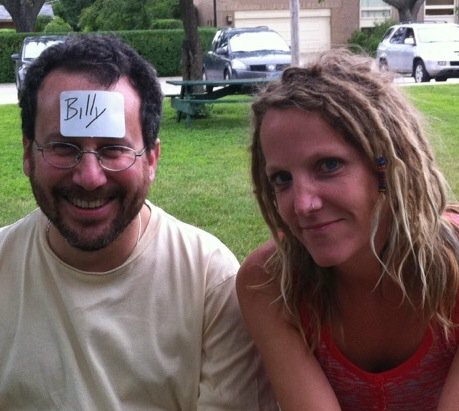 Billy and Christine first connected in 2010, after discovering similar approaches to therapeutic parenting. Christine agreed to be a part of the 2011 conference, “Parenting in SPACE,” hosted by House Calls Counseling. She and Billy became fast friends and have never looked back. These two have a wonderful balance of humor mixed with real, raw vulnerability and they have an unusual ability to connect and encourage the families they serve. This power duo continues to collaborate on projects to provide on-going resources to the families who are working in the trenches every day to bring hope and healing to children from the hard places. They are available for speaking engagements. Simply contact Billy Kaplan at 847-256-2000.